One-liners were flying fast and furious Monday night as President Donald Trump railed against Democratic opponents and the controversial Green New Deal. 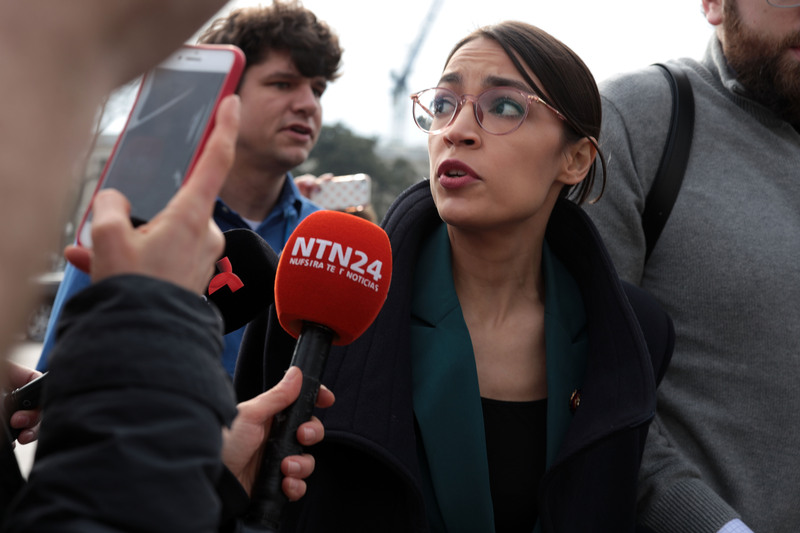 At a super-charged rally in El Paso, Texas, Trump called the Green New Deal — environmental brainchild of New York Democratic Rep. Alexandria Ocasio-Cortez — braindead, saying it “sounds like a high school term paper that got a low mark,” CNN reported Tuesday. “But I really don’t like their policies of taking away your car, taking away your airplane flights, of ‘Let’s hop a train to California,’ or ‘You’re not allowed to own cows anymore! '” Trump joked, in reference to Ocasio-Cortez’s much-ridiculed line about “farting cows” that produce too many greenhouse gasses.